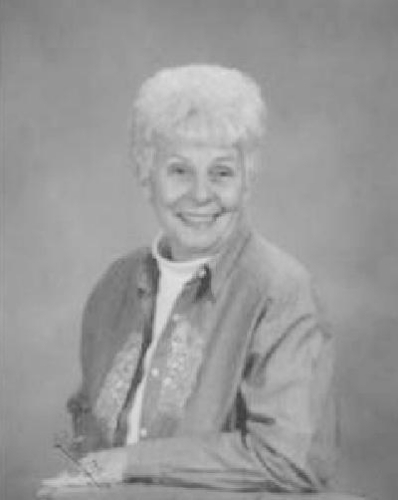 Wanell Hudson Grant Bowyer, 82, went to be with the Lord on Sunday, May 3, 2015, at a local hospital in Abilene, Texas. Wanell was born on her parent's farm in Taylor County, Texas on March 5, 1933 to Laura Minta Bailey and Buril Efram Hudson. She graduated from Lawn High School where she played volleyball and basketball. Wanell moved to Abilene where she worked as a dispatcher for the Abilene Police Department and KRBC radio station. She later owned and operated a telephone answering/radio communications company, TARCO for over 20 years. Wanell enjoyed gardening and spending time with her grandchildren and great-grandchildren. She was a member of Crescent Heights Baptist Church for over 50 years and served her community by caring for the elderly and those in need. Our Mother and Grandmother was always there for us and can no longer be with us except in our hearts and our memories. We grieve her absence yet are comforted that she is with God. Wanell was preceded in death by her parents; her husband, G. Mac Bowyer; her son, Ron Grant; her sisters, Barbara Polk and Yvonne Adams, her brother, Buril Dean Hudson. She is survived by her brother, Derald Hudson; daughters, Becky Dossey, Linda Yancy and her husband Bruce, Rachel Vieceli and her husband Joseph; her son, Randy Grant; Grandchildren, Philip Dossey, Julie Nelson, Jeremy Grant, Justin Grant, Stefanie Zook, Jennifer Johnson, Staci Grant, Kelly Broyles, Kimberly Harlow, Lauren Vieceli, and Kathryn Vieceli. She is also survived by ten great-grandchildren, and numerous cousins, nieces and nephews. Visitation will be Wednesday, May 6, 2015, from 5:00 to 7:00 P.M. at North's Funeral Home, 242 Orange Street, Abilene, Texas. A graveside service will be held on Thursday, May 7, 2015 at 2:00 P.M. at the City of Abilene Cemetery, 1133 Cottonwood, Abilene, Texas. Online condolences and memories may be shared with the family at www.northsfuneralhome.com.